Tooting, South West London, Franciscan Road c1908. On the right is Mantilla Road. 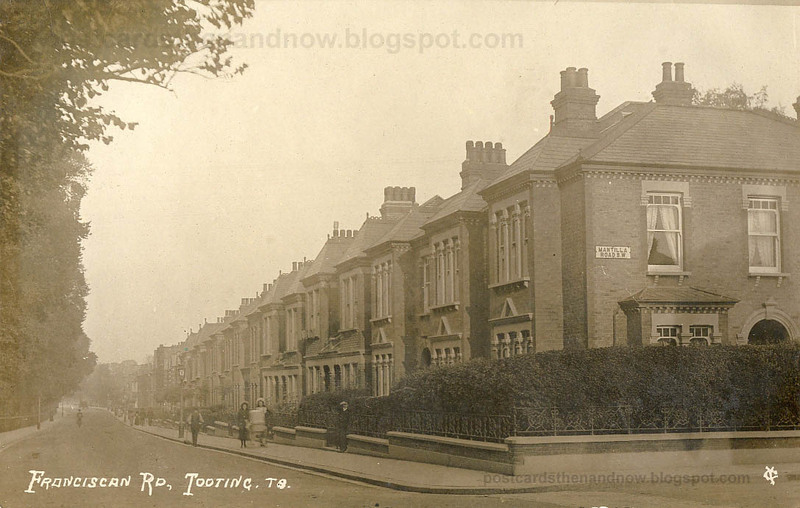 Postcard by Young and Co of Teddington. Click the postcard to enlarge. 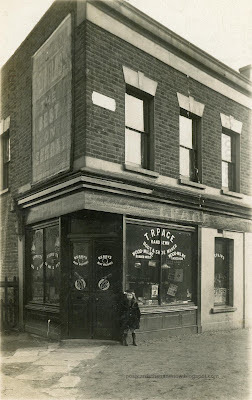 Forest Gate, London, T. R. Page Bootmakers 1915. With a postcard like this it is very pleasing to be able to identify not just the location of the shop depicted on the front of the postcard, but also the girl in the picture. The message on the back says 'Dear Lily, I got home quite safe. I have sent you a photo of my house, but it is not as nice as yours. (I) hope you will enjoy your holiday. With love from Ethel.' 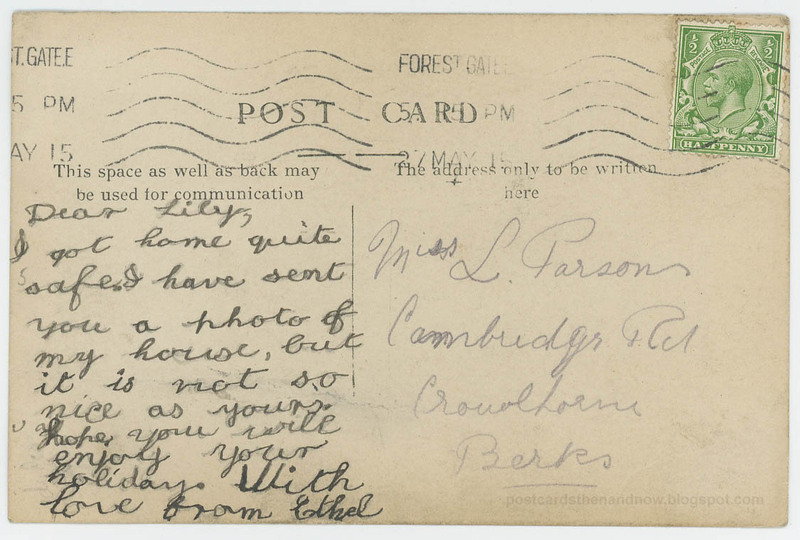 The postcard has a clear postmark of 27th of May 1915. A different hand has written the recipient's address. I bought this postcard recently as 'unknown, probably Forest Gate'. The postcard was inexpensive because the vendor had not taken the trouble to pinpoint the location. A few minutes searching the 1911 census provided all of the information we need to be able to identify the sender and location - Ethel Page, born 1907, daughter of Thomas and Eliza Page, 42 Dames Road, Forest Gate, London. 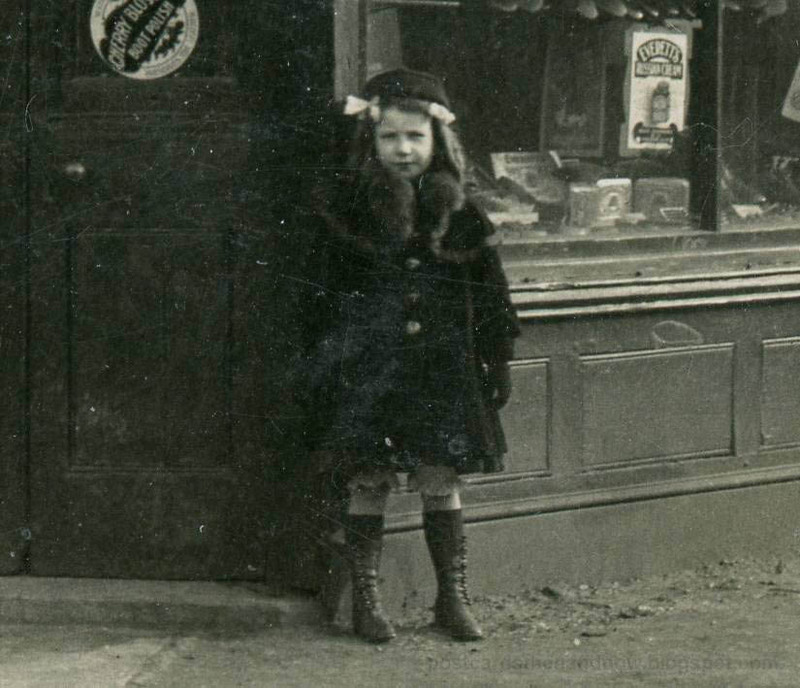 Ethel would have been about seven or eight years old when this photograph was taken. 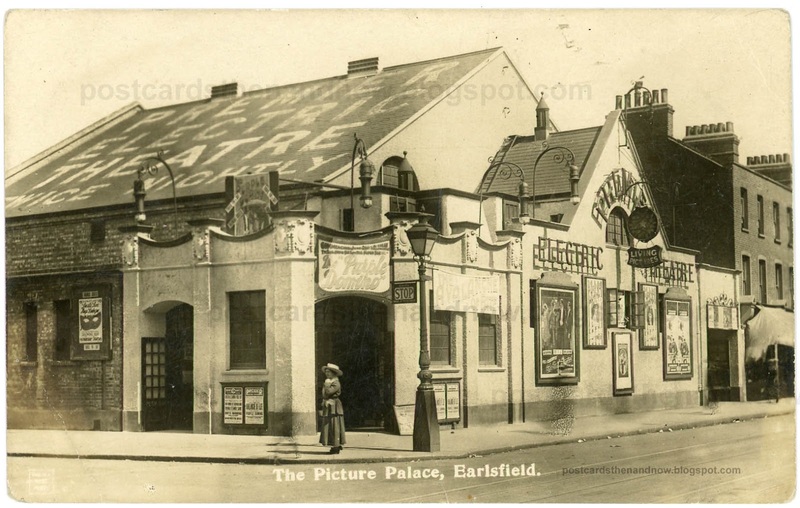 Forest Gate is in East London and has never been considered a particularly salubrious area, especially when compared to leafy Crowthorne in Berkshire where Ethel's friend Lily lived. I wonder how Ethel became friends with Lily in her nice house in Crowthorne. Her friend Lily (Lilian Mabel Parsons) was born in 1904 in Crowthorne, Berkshire. What we can see from the photograph is that Ethel is quite well dressed (see detailed shot below). She appears to be wearing a fur collar on her coat. We can clearly see her magnificent boots, presumably made by her father, Thomas Page. How many of us can afford custom hand-made boots these days? Although Thomas Page's shop has been demolished long ago and replaced by modern dwellings, if you open the Google Street View in a new window or tab and have a wander around you can see buildings nearby which possess similar architectural features to Page's shop. For more old photographs visit Sepia Saturday where the theme this week is 'shoes'. Click the postcard images to enlarge. 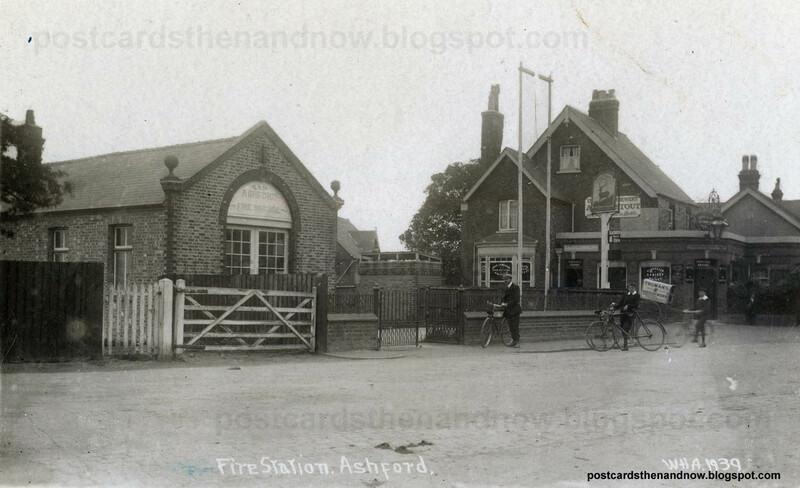 Ashford, Surrey, The Fire Station and Royal Hart pub c1912 and c1924. The fire station was in use from 1905 to 1947. It is now the premises of a glass company. 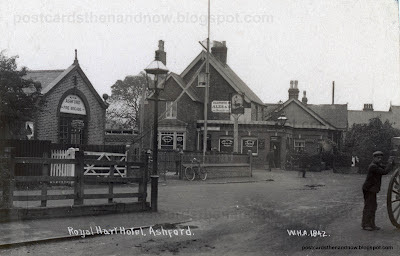 The Royal Hart pub is still there, but it is closed for business. 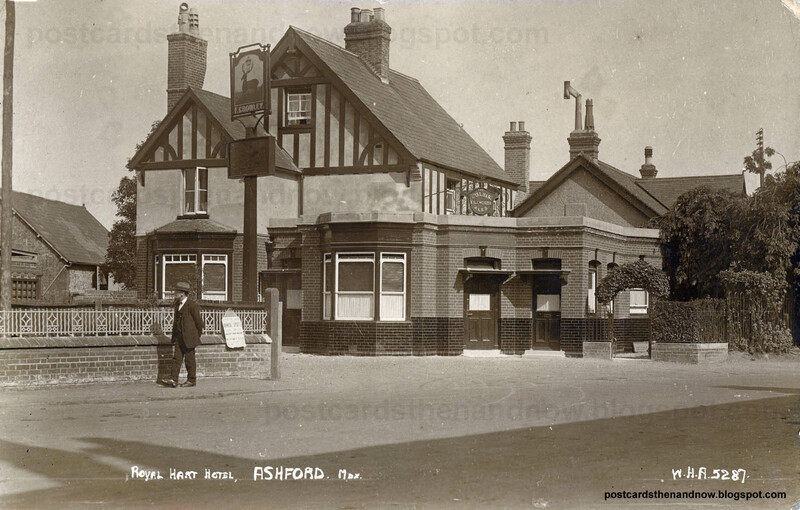 Postcards by W. H. Applebee of Ashford. 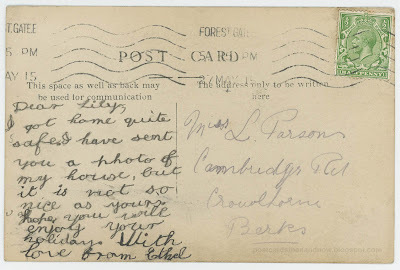 The later postcard, number 5287, was published in about 1924 by Applebee's widow, Lucy. 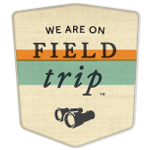 Click the postcards to enlarge. 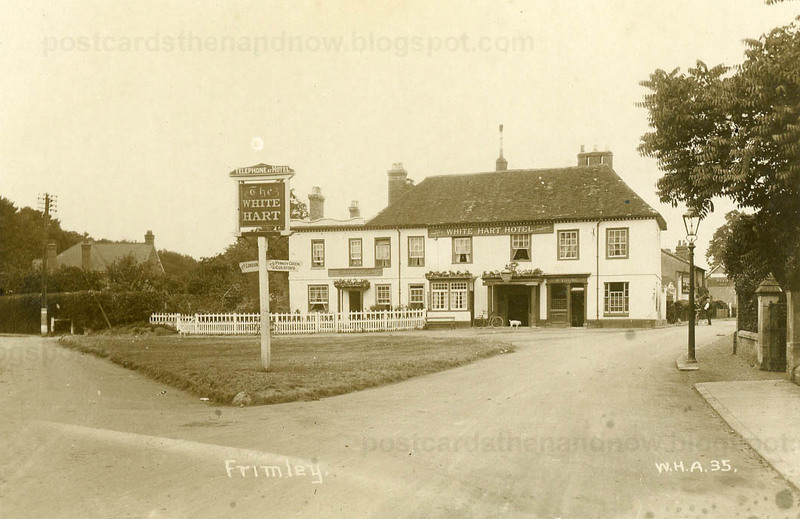 Frimley, Surrey, The White Hart circa 1912. In the Google Street View we can see the White Hart being refurbished, apparently this is complete now. 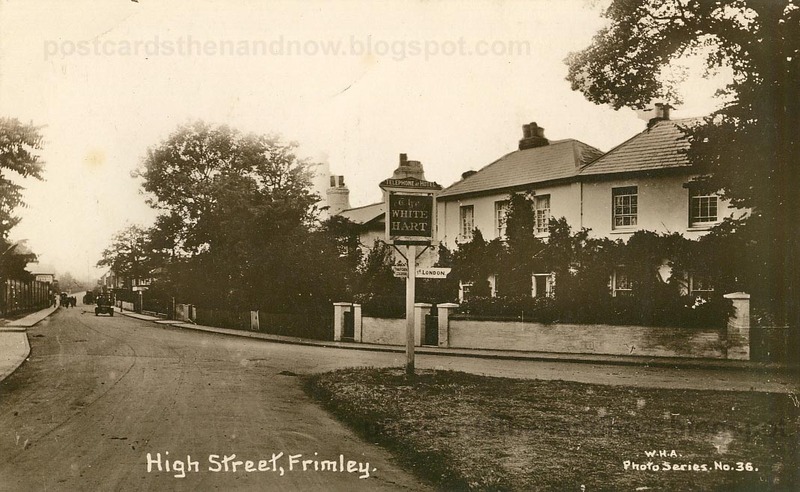 In the other postcard we can see the view from the White Hart looking down the High Street, this view has changed beyond recognition. 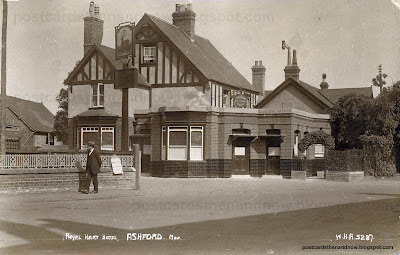 Postcards by W. H. Applebee of Ashford. Click the pictures to enlarge. For more old pictures visit the Sepia Saturday blog where the theme this week is dogs.